VALENCIA, Venezuela (AP) — A fast-moving fire swept through a Venezuelan police station where prisoners were being kept in crowded cells, killing 68 people in one of the worst catastrophes involving the nation’s prison system, authorities and relatives said. 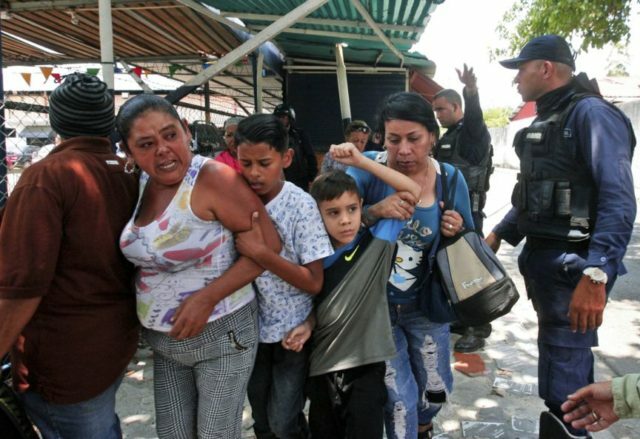 Distraught families spent all day Wednesday clamoring for information and at times clashing with police equipped in riot gear outside the station until Venezuela’s chief prosecutor declared on Twitter that 66 men and two women had been killed in the blaze. Human rights groups immediately criticized Venezuelan authorities for failing to address the rapidly declining conditions in the nation’s jails. As Venezuela plummets into an economic crisis worse than the Great Depression, prisoners in often crowded jails are going hungry and have staged protests in recent months. 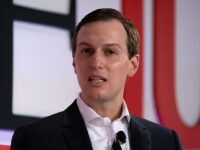 Inmates are also frequently able to obtain weapons and drugs with the help of corrupt guards and heavily armed groups control cellblock fiefdoms. The Venezuelan Prisons Observatory said it had been warning for some time about situation at police station jails, where detainees are often kept far longer than the customary two-or-three day holding periods. “The negligence of authorities continues causing deaths,” the group said. The death toll in Wednesday’s disaster surpasses nearly every recent mass casualty event at Venezuelan prisons and jails on record. A fire at a prison in the western state of Zulia killed more than 100 inmates in 1994. With tears streaking down their cheeks, people waiting outside the station Wednesday said dozens of detainees had been kept in squalid conditions and they feared the worst for their loved ones. Angry relatives pushed up against a line of officers holding metal shields. At one point, officers used tear gas to disperse the crowd. Some people buried their hands in their faces. Others had to be supported by friends and family as they collapsed in despair. Some wept quietly and clutched their hands in prayer. Nearby, National Guard troops wearing flak jackets and carrying rifles slung across their backs walked in and out of the station. Fire trucks and ambulances stood outside. Unused stretchers leaned against a wall. A Window to Freedom, a nonprofit group that monitors conditions at Venezuela’s jails and prisons, said preliminary but unconfirmed information indicates a riot began when an armed detainee shot an officer in the leg. Shortly after that a fire broke out, with flames growing quickly as the blaze spread to mattresses in the cells, it said. Rescuers apparently had to break a hole through a wall to free some of the prisoners inside. Photos shared by the group showed prisoners being taken out on stretchers, their limbs frozen in awkward positions as their skin peeled off from the flames. Opposition lawmaker Juan Miguel Matheus lambasted the pro-government leader of Carabobo state for taking so long to tell relatives about what happened.